Accumulator betting – or as it is sometimes known an ‘acca’ - is one of the most powerful tools in the right hands, and the potential rewards are enormous. While a huge amount of luck is needed to get truly life-changing amounts of money, there are ways to stay on an even keel even if that ‘big win’ remains elusive. Simply put, an accumulator is a single bet that has at least four selections, all of which must win in order for the bettor to get a payout. It is now almost as popular as placing single bets, since the slip can include a significant number of ‘dead-certs’ – selections that are considered to have a very good chance of winning. In the UK, horse racing events and football matches are the most popular way to utilise the accumulator. You can get horse racing tips from Timeform for every British and Irish horse race and expert football tips for all matches in the major European leagues with Infogol. The advantages of accumulators quickly become obvious to anybody placing an accumulator for the first time. Combinations are fully customisable, which rewards knowledge of selected teams, athletes or horses in a more profound way. Many bookmakers, including Betfair, now also provide set accumulators which offer money back if one bet fails, or have an enhanced price. There is also the undeniable factor of increased excitement over an accumulator compared to a single bet. UK football fans, in particular, will attest to this, watching live updates on television, with every scream of a pundit or ‘goal alert’ jolting the bettors out of their seat in the hope that they have taken a step closer to a big win. In the 12.30 kickoff, Leicester beat Brighton. That means a £20 win plus the £10 stake. Three hours later, Crystal Palace win at Leicester, turning the £30 received from the Leicester result into £90 – twice the stake (£60), plus the original stake (£30). The following day, the first part of a Premier League doubleheader sees Newcastle win at West Ham, turning £90 into £450. 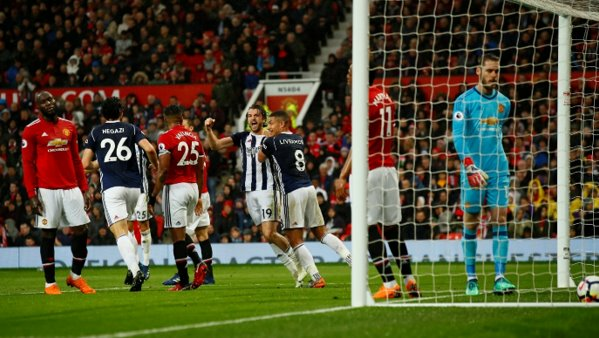 Then, in an unbelievable turn of events, West Brom stun Manchester United at Old Trafford, transforming £450 into a staggering £7,650! Here, it becomes clear exactly why accumulator betting has become such a popular way to bet. The first of two frequently-used terms is ‘non-runners’, which refers to one selection being subject to unforeseeable events that have prevented it from being played. Common examples include a horse injured pre-race or a football match snowed off or abandoned. The good news, however, is that the whole bet remains valid, with odds adjusted to reflect the absence of a ‘runner’. ‘Each-way’ bets are most commonly associated with horse racing, and you can find a list of all of the day’s horse racing non runners, but it can also apply to individual and team sports, usually within ‘outright’ markets for a long-term competition that spans several months like the Premier League. In order to get a payout, a horse, team or individual must come first, second or third, but how much the odds shorten is down to the bookmaker. Sometimes, ‘each-way’ refers to first or second, but it’s most commonly used for the first three or four places in a race/competition. A four-fold accumulator (or five-fold, etc) offers the bettor a degree of insurance. In this type of accumulator, selections are picked, but a stake is placed on a minimum number of bets coming in. For instance, somebody may pick seven teams in an accumulator but go for a six-fold accumulator. This means reduced potential winnings, but only six teams out of seven need to prevail. In addition to reduced potential winnings, the stake is also multiplied automatically by the number of winning combinations ('winning lines'). In this case, there are seven possible winning lines in addition to a 'full house', so a £1 bet automatically becomes £8. Anyone placing an accumulator on football would need to back a certain number of games to feature over or under 2.5 goals to get anything meaningful back. For tennis, and other racket sports involving games and sets, the general rule is that the more sets involved, the longer the odds. In ATP Grand Slam tournaments (Australian, French, Wimbledon and U.S Open), backing several matches to end 3-2 in favour of the higher-ranked man – or the man in better form on a particular surface – will give pleasing results, if successful. In practice, a bet of at least £1 on six ‘dead-certs’ to win away, with both teams scoring, will normally yield at least a four-figure payout. In that respect, familiarity with the best teams is important. Using football as an obvious example, according to Infogol, the German, Scottish and French top flights look likely to be locked out (respectively) by Bayern Munich, Celtic and Paris Saint-Germain for the next few years. Backing those three teams as a ‘win + BTTS’ bet as part of a wider accumulator is a good place to start. It is, of course, possible to place a bet on a match in which one or neither team scores. This can work well in ‘goal’ based sports that are high-scoring by nature, with ice hockey being the most prominent sport in that regard. Ultimately, this can be the holy grail of specialities in accumulator betting. Compared to a win by any means, the odds for a win with BTTS are much more lucrative.